Summoned hard for the new plate but no luck. I stopped before black counter. Will wait for something interesting to try my luck with black. That is both amazing and horrifying. I've had odd luck recently, but not to that extent. I got the 500 ticket today because I enjoy getting dupe plats and immediately selling them for 100... but surprisingly I actually got a black, and it wasn't even a dupe ! Vampire Lord Ema, breaking my streak of disappointment. Have some time to try to get into this again. Having a big issue before I can literally do anything. How do one manage character slots? I can't expand further and I have no idea who to be used as fodder and who to keep. @ofi123 You can put silver and gold characters in the last storage. Bronze aren't important and iron can be used as evolve so you can put them in normal storage if you have space. There is specific storage for fairies and armor and sell gold armor. For farmerble platinum just try to minicost one copy and sell rest for rainbow crystals. Start is a little hard but game is super easy. Well, I'm very happy! Not because of a gacha roll or anything like that, but because the event unit is Leaf. Why? I consider her as my waifu of this game and I'm just glad she's getting more attention. 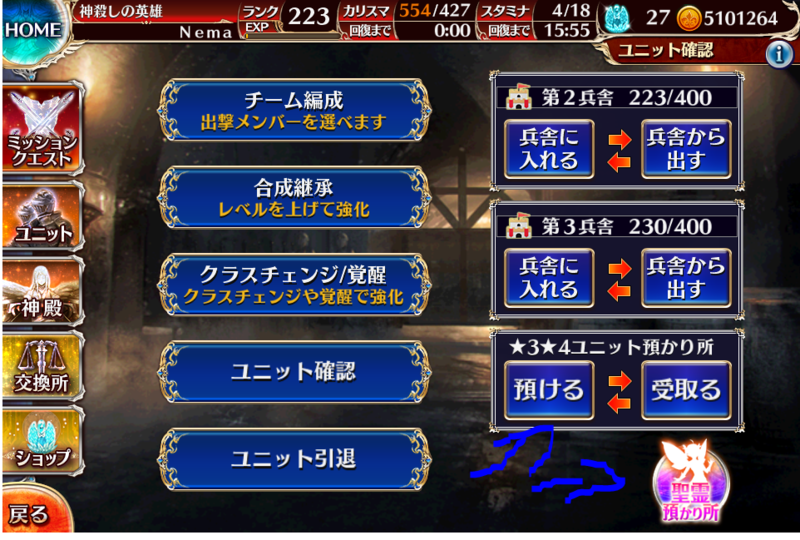 I'm not sure tbh but here is a picture I pointed at the fairies storage and 3*4* star units storage. Thing is, I have nothing shown on the right.